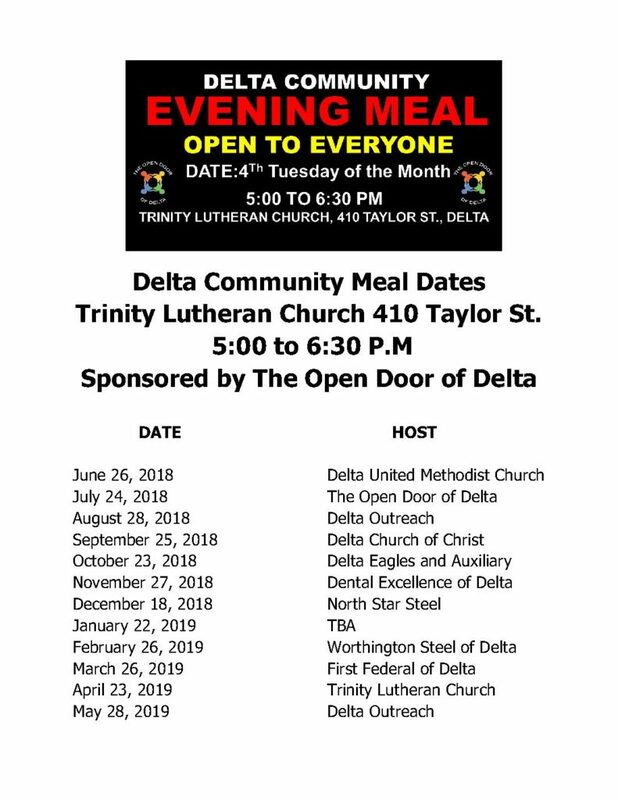 Community Meal – The Open Door of Delta, Inc. The 4th Tuesday of every month a community meal is served at Trinity Lutheran Church. In the beginning, The Open Door and a couple of other organizations provided the community meal. In 2017, we were able to get 11 other organizations to assist with feeding the community. The Open Door organizes the event and provides all the tableware, drinks, coffee and advertising for the meal. In the beginning we would serve 20 to 40 individuals, on July 24, 2018 we served 138 people dinner.